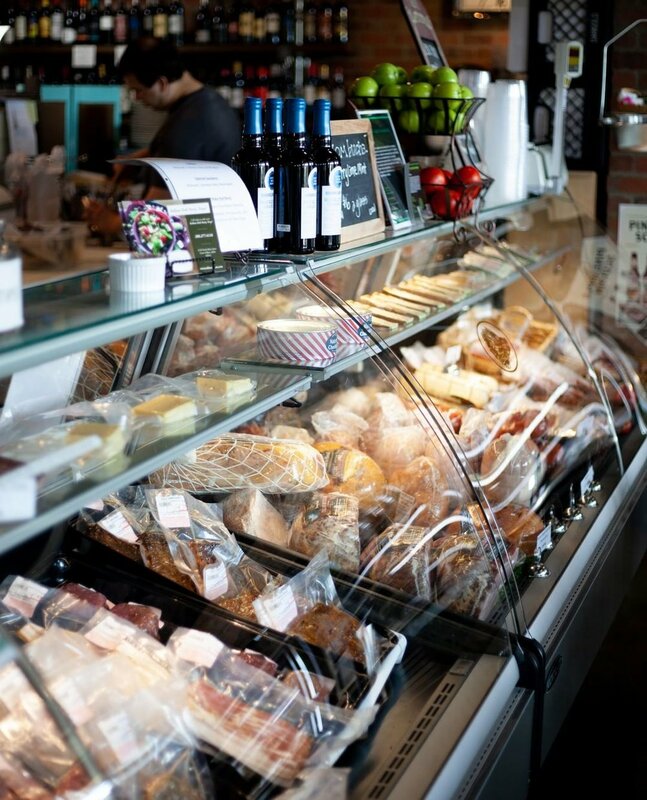 Our artisan deli includes gourmet meats and cheeses from around the world, Kraft Beers that are locally brewed, as well as all natural grain fed and grass fed meats that are GMO and Hormone free. In addition, all of our stuffed sausages are hand made in our store and are gluten and preservative free. Lastly, our wine selection is second to none, providing unique wines from around the world at competitive prices. Please check our weekly schedules for complimentary wine tastings. Do you have a weekend party coming up? A company event? Order a charcuterie, cheese, or sandwich tray from us, to make your life a little bit easier! Call us or stop in to customize it however you’d like! For the lunch crowd, we accept call-ahead lunch orders to save you a little more time. Cheeses on the Rise: Gloucester, Triple Brie, & a local artisan selection. Locally produced thick cut bacon- free of all antibiotics and hormones! Sliced Meats: We always have available sliced roasted turkey and chicken, Italian ham, Mortadella and Sopressata salami- all from Boars Head! We offer soups, salads, and sandwiches. Customizable meat + cheese trays for any budget. Sandwich trays, soups, + side salads. Romaine, parmesan cheese, and roasted chicken breast, topped with rustic croutons, and served with our lemon garlic Italian dressing. Salad can be served in spinach wrap….Great Twist on a classic. Chef’s choice of daily half sandwich, paired with your choice of soup (seasonal), salad, or chips. Soup and salad change daily. Ask what we have available today. This is our only half sandwich available, but includes a side.